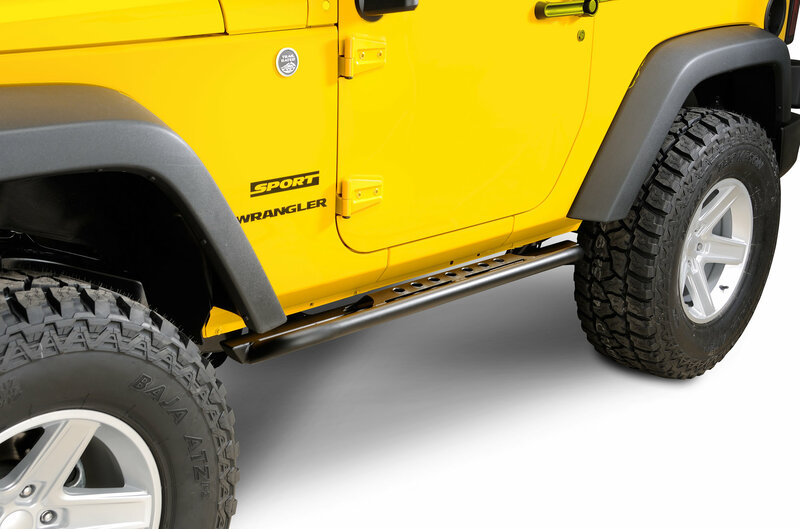 The ultimate sliders are now available for your JK! 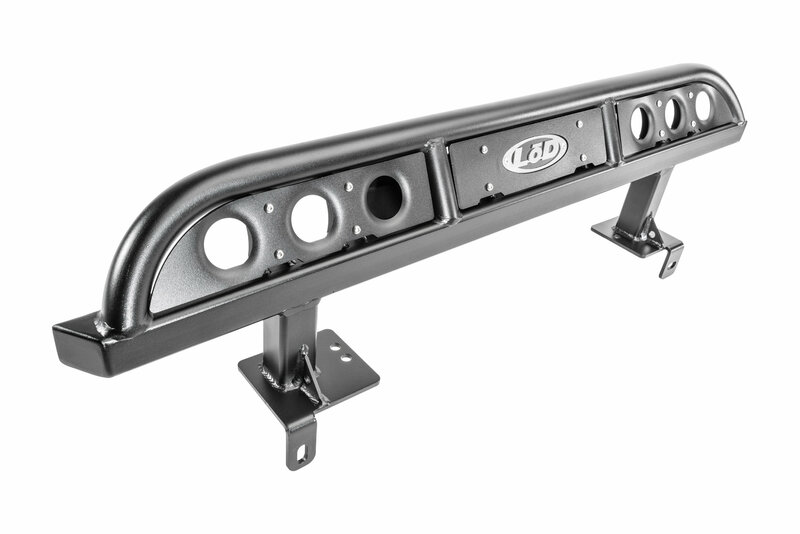 The LoD Signature Series Rock Sliders are built strong enough to support the weight of your JK. 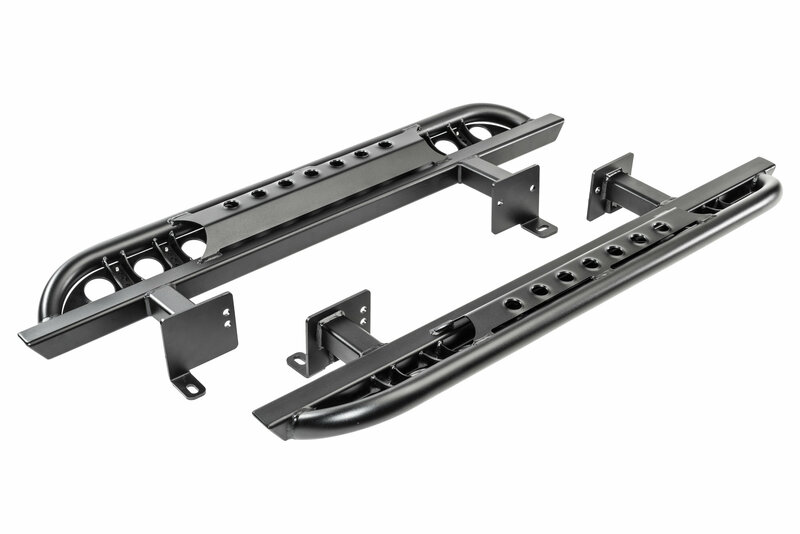 These sliders bolt directly into the frame and feature a 1-3/4" tube running the length of the rail. 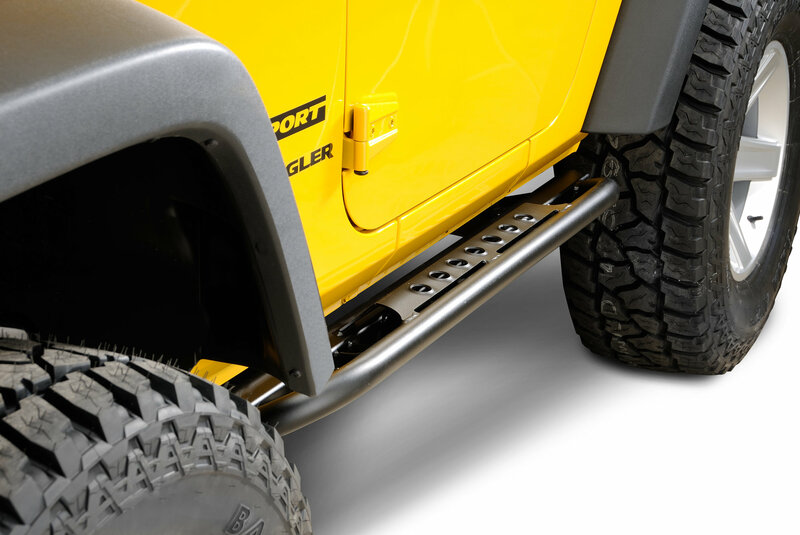 The main structure of the slider is constructed of 2" square tube with an integrated step at each door location. My little lady loves them, helps her get in the jeep.Very solid will work on the trail and protect from side impacts on the road. I like the product but had a shipping issue that took about a month to resolve and I ended up reaching out to the manufacturer due to numerous dropped balls by the Quadratec staff. The impression that I received is that the sale was more important than the customer. Nevertheless the end result is that I have the sliders installed they look great and I'm hoping that they're functional. 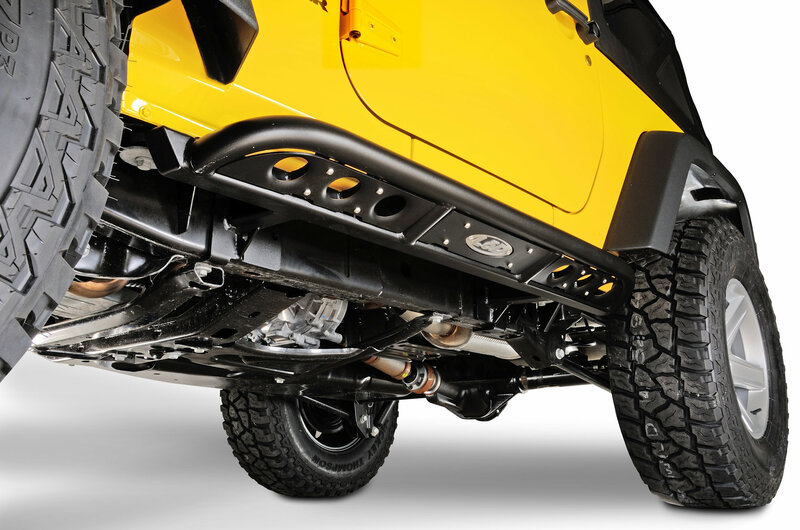 Note that you will need to modify the recommended location for a standard transmission which will leave you short on bolts. The Tap size is 7/16" X 20 and you will need to drill and tap the frame for installation. Doesn't hurt to pick up a couple of extra bolts either due to the fact that the recommended location assumes the use of factory bolts.